Starting at $150,000 with a 300-mile range. When Tesla unveiled its Semi electric truck last week, everyone agreed that it looked cool, but some actual truckers weren’t necessarily sold on its functionality. Most observers will be impressed with the pricing if it holds, though. Tesla has listed estimated price on its Semi website for the 300- and 500-mile versions of $150,000 and $180,000 respectively, less than some pundits predicted. The fancier Founders Series, with the top specs, will cost $200,000. Looking at the $180,000 model, it’s still around $60,000 more than a diesel-powered semi truck. However, the Semi could cost around 20 percent less to run, Tesla estimates, putting savings over a million miles at around $250,000. 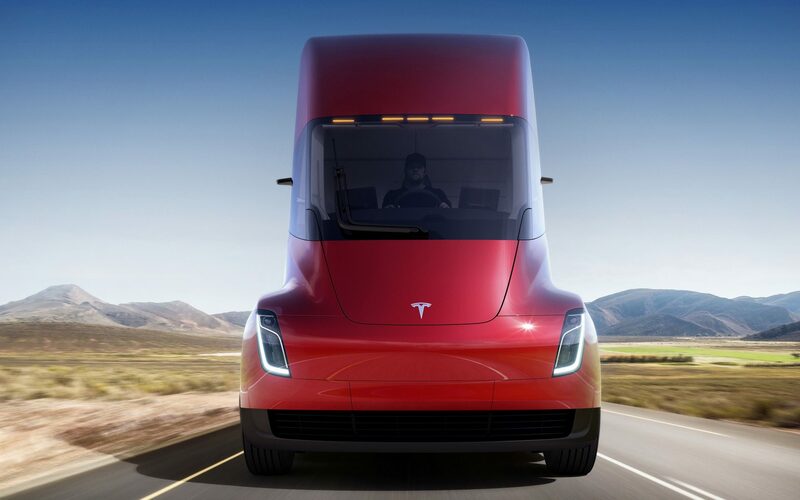 The Tesla Semi will improve the trucker experience with an Enhanced Autopilot (automatic emergency braking, automatic lane keeping and lane departure warning) that will improve safety for drivers and other vehicles. It also features jackknife protection, sensors and cameras meant to reduce blind spots. For a truck it’ll also have crazy acceleration, which could be useful for hill-climbing and other chores. Jonathon Ramsey, Autoblog’s resident truck driver, wondered if the Semi would provide enough visibility, given the lack of mirrors and unusual center pilot position. He also said Tesla should have focused more on the brakes than the acceleration, and called some of Tesla’s claims about current trucking tech questionable. Many critics are also wondering how Tesla could sell the Semi so cheaply. Some estimates have put the cost of the 1 MWh battery alone at up to $400,000, so as Electrek speculates, Tesla must have some new technology or other tricks up its sleeve to be able to make the economics work. Potential buyers aren’t spooked by the unknowns, though — Canadian grocery chain Loblaws was the first to jump onboard with a big order, and retail giant Walmart also plans to test the truck.